Rig Source is here to help you find what you need to get the job done! Rig Source, Inc. (RSI) is an innovative and dynamic drilling equipment source serving the Pipeline, Oil and Gas, Geothermal, Geotechnical, Environmental and Core Drilling industries. Our drill rig and crawler carrier knowledge and experience allows us to deliver new and used equipment solutions at affordable pricing. 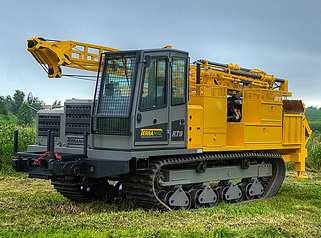 Rig Source offers the finest drilling and crawler carrier equipment such as Atlas Copco, Boart Longyear, Geoprobe®, Diedrich, Morooka, IHI, Mobil Drill, CME and more. 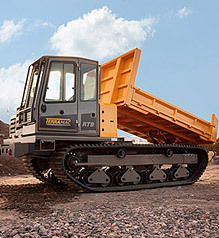 Terramac rubber track carriers will soon be added to the list of equipment offered by Rig Source. Customer options include new, used, or rental drill rig or crawler carrier equipment, as well as custom fabrications and refurbishments. 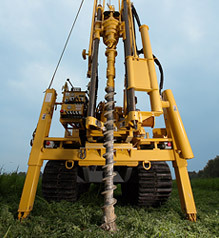 Rig Source sells new and used core drills, oil and gas drills, auger rigs, direct-push units, crawler carriers and more. Along with new and used equipment sales, Rig Source offers a variety of customized drill packages, tooling and support equipment to meet your needs. 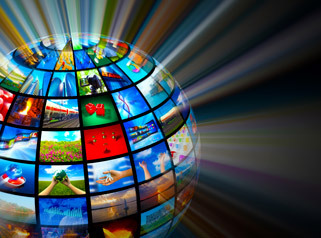 Rig Source sells and ships internationally. Visit our drill rig and crawler carrier equipment showrooms to learn more today! 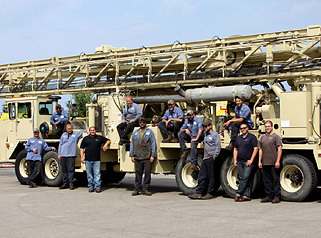 Rig Source has a diverse fleet of rental equipment ready to serve your needs including Terramac®, IHI and Morooka all-terrain rubber track carriers, drill and auger rigs, Geoprobe® direct-push units, Vacmasters vacuum excavators and various support equipment. Rig Source is experienced with shipping rental units and can make them available for weekly or monthly rates throughout the US and Canada. If you choose your own shipper, Rig Source can assist you with documentation, handling and equipment loading. Visit our rental showroom to learn more about our rental fleet. Rig Source’s highly skilled team of fabricators can help you turn your current piece of equipment into a like-new machine. Fabrication options include but are not limited to drill remounts, winch and crane installations, custom beds, toolboxes, rod storage compartments, water tanks and more. Along with custom fabrications, our team can assist you in restoring your used equipment with track, engine, pump and winch replacement and more. Rig Source also offers routine service such as gear box, transmission, clutch repair and more. All projects are performed in-house and use genuine parts straight from the factory. Whether it’s a carrier mount or a new paint job, our experienced team will bring your old unit to new life. Rig Source carries an array of replacement parts, supplies and tooling to keep your machine up and running. New tooling and repair parts are available for Atlas Copco, Diedrich, Geoprobe ®, Mobile, Boart Longyear, Morooka, IHI, Vacmaster and more. We offer a full line of IHI, Morooka and aftermarket replacement tracks. 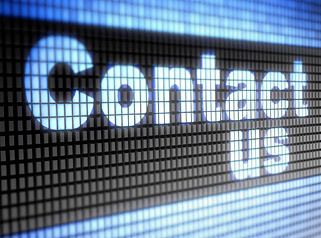 Call today to inquire about replacement parts pricing and availability. If we don’t have it in stock, we may be able order it from a distributer or locate it for you. Rig Source, Inc. has had the pleasure of serving many drilling contractors with new and used equipment, rental units, custom fabrications and more. Join our list of satisfied customers for affordable, reliable, quality drilling equipment you can depend on. New, Used and Refurbished units available to fit your needs and budgets. Quality repairs, remounts and restorations.